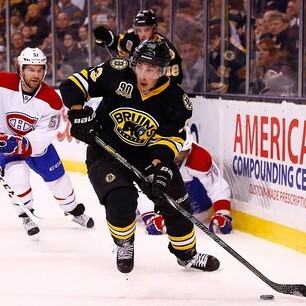 Live updates as the Bruins face the Canadiens in Montreal on Monday, March 24. Bruins on their way to a rhythm-deprived 0-for-5 on PP. One brief flurry resulting in Krejci's missed drive. Special tms the difference. Gallagher penalty makes it five power plays for the B's. CAMPBELL HOOKED DOWN NO PENALTY SHOT? OH, THAT'S RIGHT... IT WAS A MONTREAL PLAYER WHO TOOK HIM DOWN. I thought that could've been a penalty shot. BOS PP: A couple of almosts, one might've been, a few ahh-craps, no goals. What's better at getting the blood boiling than this, though? 4 Bruins-Canadiens games this season: SIMPLY NOT ENOUGH, MR. BETTMAN. That's the fourth power play of the game for the Bruins. Here's a hand-mirror, Douglas Murray. Go primp. Gallagher is lucky he isn't wearing black and gold. That crosscheck to Krug would have been 2. No "click" to the Bruins' power play. Weak entries, soft passes, bad decisions. Not so much MTL's PK as BOS derailing itself. Well, that power play went nowhere. Steel-cage match between Marchand and Plekanec, anyone? Bring me contempt. Bring me hatred. Keep the vanilla off my table. 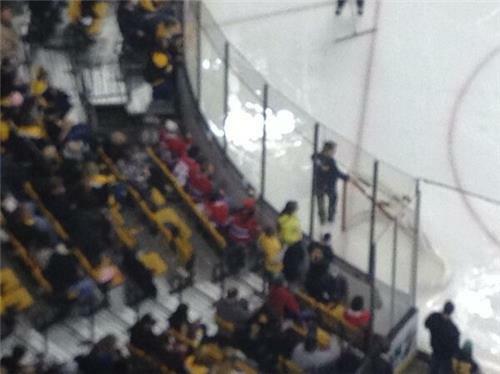 Habs 1, Bs 0 3rd pd. They flat out hockey-hate each other. It's on. Flawed view of advocates of watered-down sked is that an imagined peripheral audience is worth chasing at cost of alienating core audience. This game is mostly hamburger. But, man, it's tasty. That said, entertainment value through the roof. Great to see. Uh oh. BUSTED on Garden HDX! Thanks, @LAKEdwards and peeps. And thanks for all the Happy Birthday wishes from the whole tribe of Bs fans! There are at least two people I know from Burrillville at tonight's game. Guess they're in charge of blowing out the street lights tonight. Canadiens with 15 shots on goal. Ten on PP. Nothing doing at even strength.